Learning that you need to undergo a magnetic resonance imaging (MRI) test can be intimidating. Although rarely needed to evaluate sleep disorders, it may be used to assess stroke (a potential cause of central sleep apnea) or even epilepsy (which may cause nocturnal seizures). Although the experience of an MRI may vary somewhat, you may encounter some common expectations and reading a little about these may put your concerns to rest. Learn what to expect in an MRI of the head for the diagnosis of brain disorders. What is a Magnetic Resonance Imaging (MRI) Scan? Magnetic resonance imaging (MRI) is a non-invasive radiographic study used to diagnose medical problems. Much like an x-ray, the technique allows the visualization of structures that would otherwise be inaccessible without surgery. This is accomplished with the use of a large magnet, rather than x-ray radiation, while the patient lies on a table. The pulse of the magnet affects the water molecules of the body and the resulting changes can produce images. MRI is especially helpful in specific areas of the body, including the brain. An MRI may be ordered if your doctor suspects that there is a structural abnormality that may be causing your symptoms. For instance, some individuals may have central sleep apnea because of a stroke. 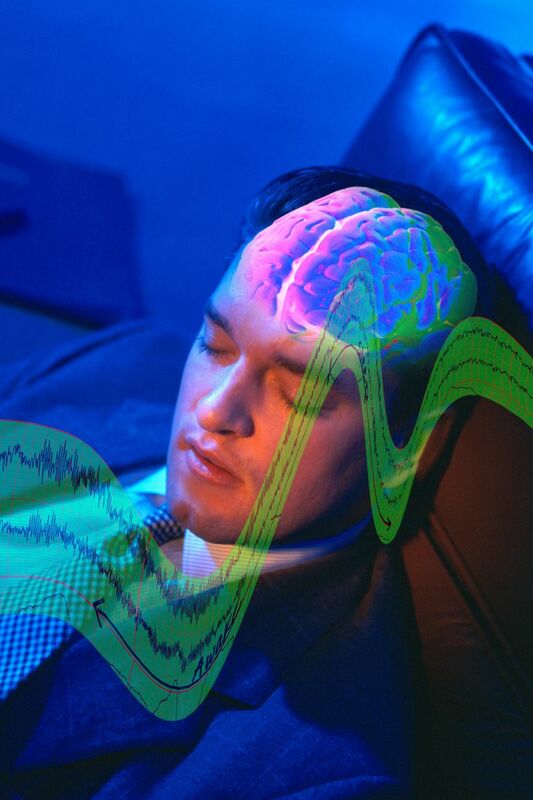 Alternatively, seizures that occur during sleep may prompt an MRI of the brain to investigate a cause of epilepsy. Beyond these considerations, it will be important to remove other metal objects such as jewelry, body piercings, hearing aids, removable dental work, etc. In most cases, an MRI will be performed while you lie flat on your back on a movable examination table. You will be positioned so that the area of the body that needs to be scanned is accessible to the MRI machine. You may lie with a neck and head brace, padding, or sheet to make you more comfortable. There may be a few belts put in place to help you remain in place. If you are to receive contrast material with your study, an intravenous (IV) line will be placed prior to the test beginning. As the test can be noisy, earplugs, headphones, or other hearing protection devices may be used. The examination table will move in and out of a large tube during the study. As such, you may have a mirror put into place above your eyes so that you can see out of the machine. Once you are initially put in position, the technologist will leave the room. You will be able to communicate with them during the study. They will be able to monitor you from nearby and can return quickly should the need arise. The MRI itself will typically consist of a series of imaging sequences. This may require that you lie still for seconds or minutes at a time. The technologist will prompt you over a two-way intercom as the test proceeds. Depending on what is being imaged, the entire MRI test may last for about 45 minutes to an hour. There are some common concerns related to having an MRI. The test is generally safe and painless, with little risk for complication, but there are a few elements that may lead to discomfort and distress. The biggest concern most people have is feeling claustrophobic. This occurs when someone is a placed in a confined space, such as the MRI tube, and feels anxiety as a result. Although the use of mirrors may help, some people may need medications to help them feel more relaxed. If you are concerned that you will become claustrophobic, you should make your needs known prior to the test. The use of open-ended (or open-sided) MRI machines can also alleviate this feeling. If you are significantly obese, the MRI machine may be too small to fit you inside. The size restriction varies based on the machine, and alternatives can typically be found. After the MRI is complete, there may be a brief recovery period if you have been given medications to feel more relaxed. Otherwise there typically is no delay in returning to your normal activities, allowing these tests to be done as an outpatient. The test results become available after they have been reviewed by a radiologist and will often be conveyed by the doctor who ordered the MRI. If necessary, an MRI can be a well-tolerated procedure, providing valuable insight into your medical condition. If you are concerned about tolerating the test, don't simply refuse to do it. Talk to your medical provider about your concerns and the potential use of a medication to reduce anxiety during the testing. "MRI of the Body." American College of Radiology and Radiological Society of North America. BLAM! What Are Symptoms and Causes of Exploding Head Syndrome?